Heart disease is still the leading cause of death in America. However, in recent years the number of deaths due to heart disease has been diminishing. The diet of Americans is as bad as it’s ever been, so the reason for the decline in deaths is modern medicine. Doctors can now perform amazing procedures to save people’s lives when they experience a heart attack or clogged arteries. One of the most common procedures being performed by doctors today to prevent heart attacks is angiocardiography, more commonly referred to as angiography. Angiography is generally performed for one of four reasons. Coronary artery disease, peripheral vascular disease, aneurysms and preparation for surgery are the main reasons that angiography is used. Angiography is generally scheduled to be performed in advance. It is usually an outpatient procedure, unless a patient comes into the hospital in critical condition. The whole procedure is done in around an hour or less. The first step doctors performing angiography do is to numb the area where the angiography tube will be inserted. This is usually done by injecting a local anesthetic such as lidocaine. Next, the doctor will insert a catheter (a thin plastic tube) into an artery in the groin or armpit. The doctor maneuvers the catheter until it is slid through the aorta to rest in one of the heart’s chambers. The doctor will then inject radioactive dye through the catheter into the heart. The heart will then pump the radioactive dye throughout the body, allowing the doctor to see all the blood vessels. This allows the doctor to determine if there are any dangerous blockages anywhere in the cardiovascular system. As well as the normal risks associated with the procedure, sometimes doctors make mistakes. 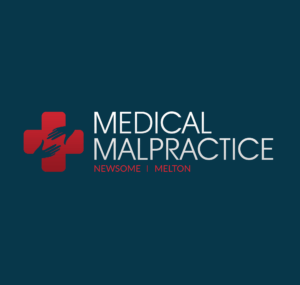 When doctors make avoidable mistakes, it is considered malpractice. Here are the most common forms of malpractice in an angiography.